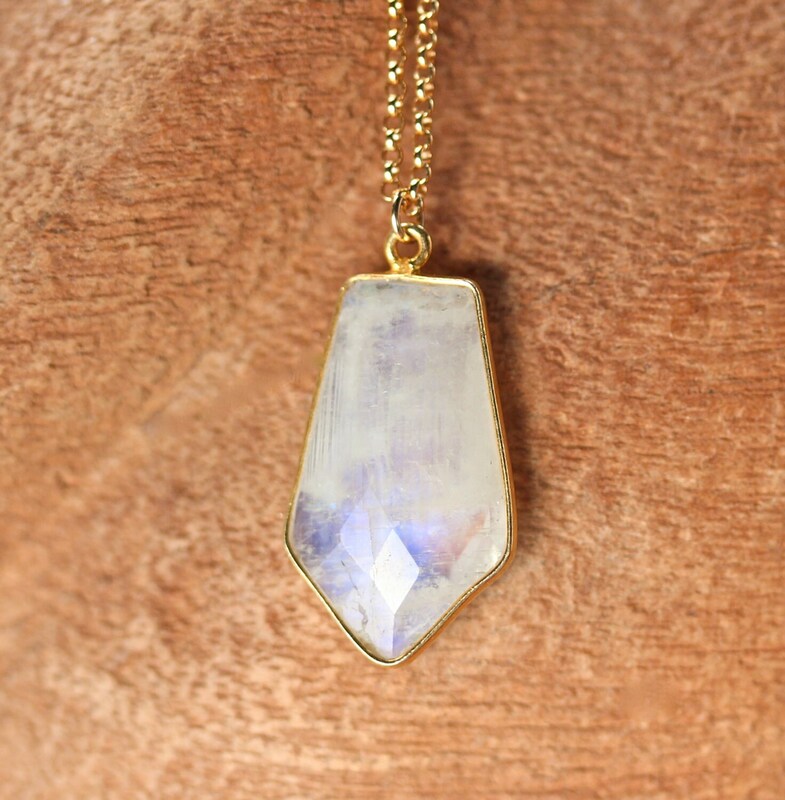 A beautiful, gold bezel set, faceted rainbow moonstone hanging from a 2mm thick 14k gold filled chain. Please feel free to select a different length chain if you prefer! Please choose your favorite gem as shown in the fourth photo. 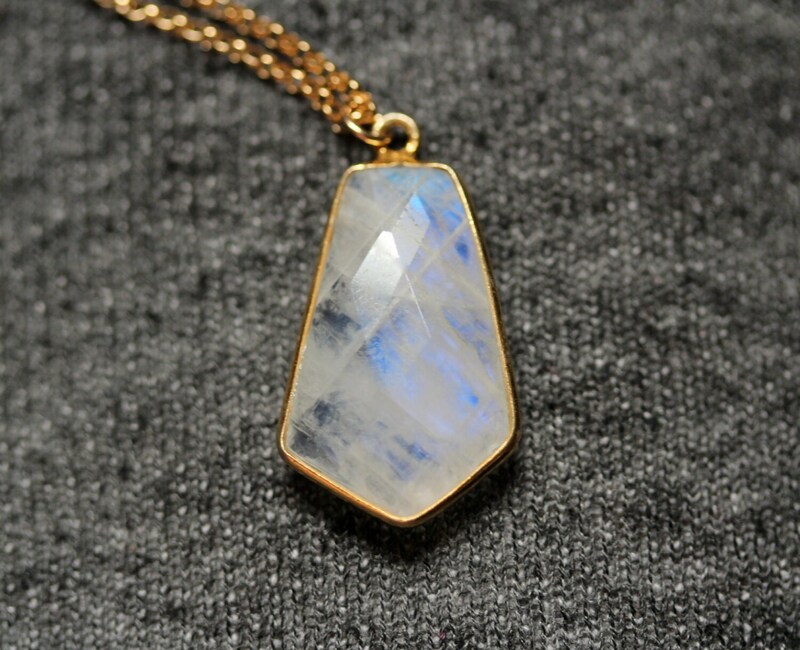 There is one Labradorite option also! 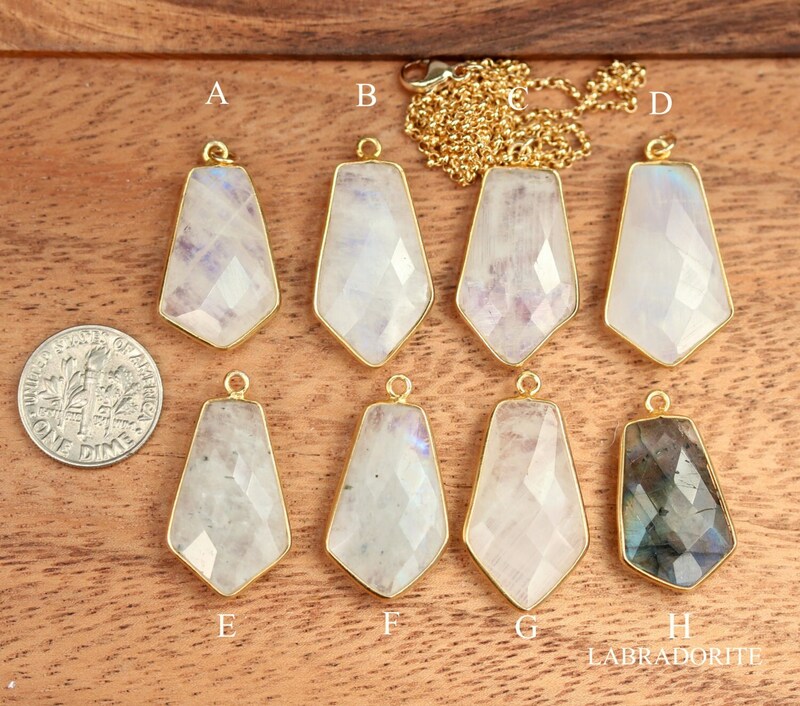 *** I took multiple photos in different light to show all the possible colors of these gems. 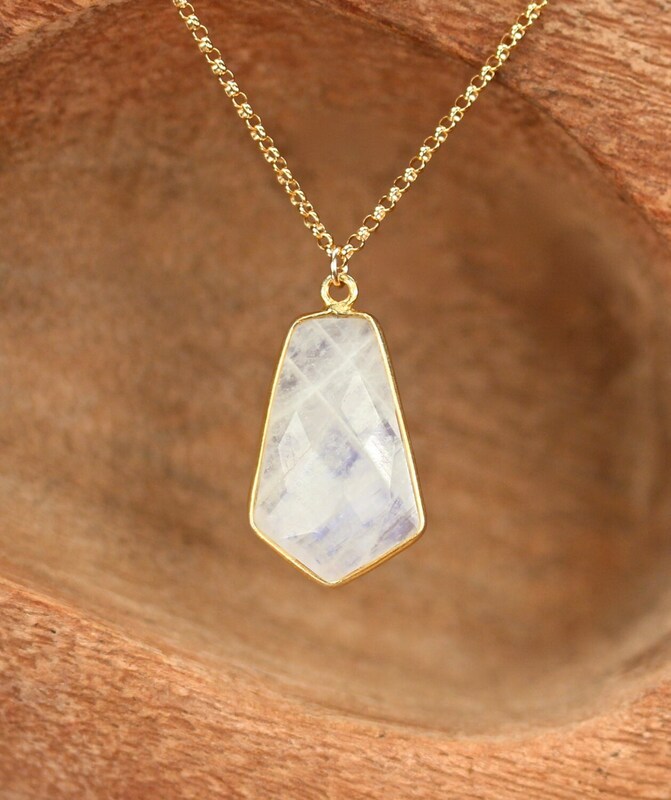 Moonstones reflect at different angles and all sorts of light.